This book explores the mythology woven around the Soviet secret police and the Russian cult of state security that has emerged from it. Tracing the history of this mythology from the Soviet period through to its revival in contemporary post-Soviet Russia, the volume argues that successive Russian regimes have sponsored a ‘cult’ of state security, whereby security organs are held up as something to be worshipped. The book approaches the history of this cult as an ongoing struggle to legitimise and sacralise the Russian state security apparatus, and to negotiate its violent and dramatic past. It explores the ways in which, during the Soviet period, this mythology sought to make the existence of the most radically intrusive and powerful secret police in history appear ‘natural’. 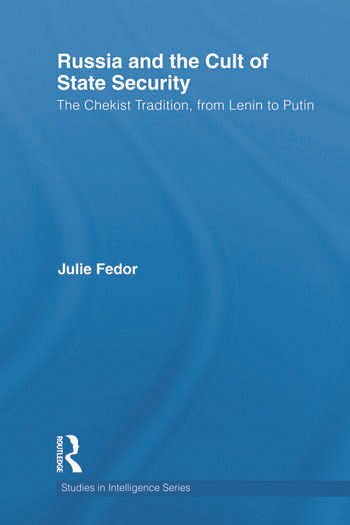 It also documents the contemporary post-Soviet re-emergence of the cult of state security, examining the ways in which elements of the old Soviet mythology have been revised and reclaimed as the cornerstone of a new state ideology. The Russian cult of state security is of ongoing contemporary relevance, and is crucial for understanding not only the tragedies of Russia’s twentieth-century history, but also the ambiguities of Russia’s post-Soviet transition, and the current struggle to define Russia’s national identity and future development. The book examines the ways in which contemporary Russian life continues to be shaped by the legacy of Soviet attitudes to state-society relations, as expressed in the reconstituted cult of state security. It investigates the shadow which the figure of the secret policeman continues to cast over Russia today. The book will be of great interest to students of modern Russian history and politics, intelligence studies and security studies, as well as readers with an interest in the KGB and its successors. Julie Fedor is a Research Associate on the project 'Memory at War: Cultural Dynamics in Poland, Russia and Ukraine', in the Department of Slavonic Studies at the University of Cambridge. She has taught modern Russian history at the Universities of Birmingham, Cambridge, Melbourne and St Andrews, and has a PhD from King's College, Cambridge, where she was a Gates Scholar.